Have it done or do it yourself? Xillio has successfully carried out hundreds of content migrations in the past 14 years. We have many years of knowledge and experience with a wide variety of systems and transformations. We know what a project manager should ask themselves when starting a content migration project. Using our experience, we have developed standard migration software that has standard connectors for export and import, and additional content services for the enrichment and transformation of content. No matter what systems you want to migrate (ECM, WCM, DMS, DAM, EFSS, PIM or others), our proven approach and experienced consultants will make your migration project a success! Schematic overview of our content migration software, including additional content services and connectors. Before you embark on your content migration project, we urge you to always analyze your content first. Knowing which content is valuable and which is not is critical for the success of your migration project. Find out how our file share analysis can help you to gain these insights. Once you decide to go ahead with a migration project, you have several options. You can for instance copy and paste, write scripts yourself, hire a consultancy firm or outsource the job. But there are more options. All have their pro’s and con’s. Read more about your options in our approaches whitepaper and tip sheet. For a successful migration project, you need experience with the source and target systems, connectors to both, experience with a tool to extract, transform and load the content, and experience with running migration projects. If you lack any of the above, your migration project is likely to suffer setbacks, delays, and budget overruns. 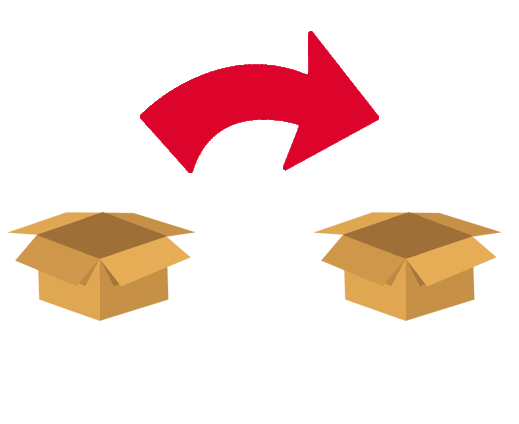 Xillio offers a migration approach that takes care of all aspects of your migration. This is ideal for enterprises that need a stress-free migration of content within time and within budget. Let's say you are a services organization that undertakes complex content projects over and over again. In order to achieve the project goals every time, you realize you need to be able to quickly migrate content from legacy systems into the new environment. 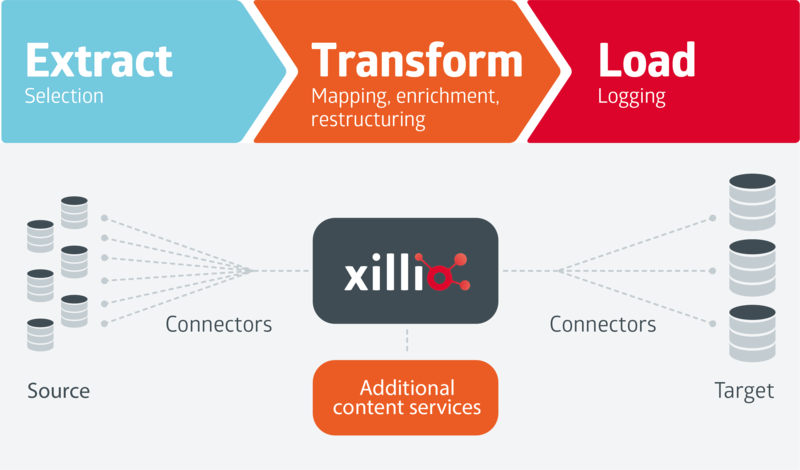 In this case, Xillio provides a flexible content migration platform that is ideal for building a migration practice. We also provide a developer based licensing model that enables you to build skills and leverage them without taking away budgets from every project or licensing platforms over and over again. We migrated 230,000 documents plus it's versions from Oracle WebCenter Content to Alfresco for the State of Alaska. We migrated the internet sites of 16 Dutch ministries to one centralized internet site, government.nl, without content freeze. At Willis, Global Risk Advisor, Insurance and Reinsurance Broker, we are migrating thousands of sites to a new SharePoint environment. Automatic classification and metadata enrichment of documents stored in OpenText CS at the Dutch institute for water research. We performed an extensive file share analysis and a controlled migration of millions of documents to SharePoint for drink water company PWN.  We performed an easy implementation and migration to new ECM system with 50% less content. The project was divided into roughly 800 sub-migrations. Xillio migrated All 600.000 documents from over 600 sites with document libraries for this Healthcare Consultinmg Firm. The migration as a service was performed in 2 months. Xillio migrated three websites (ns.nl, ov-fiets.nl, and werkenBijNS.nl) from FatWire Content Server to the new open source CMS Hippo for the Dutch Railways. At the Erasmus University Rotterdam we migrated all content from their old TYPO3 website to their new website in Drupal. Content migration is the process of moving content from one content repository to another. Data can be moved from all sorts of systems such as WCM, CMS, ECM systems. Additional information such as metadata, auditing details and version history usually also needs to be migrated. Let us know from which systems you would us like to migrate your content and we will contact you as soon as possible. Xillio © 2018. All rights reserved. Xillio is the leading content migration and content integration company in the world. We provide technology and services to help organizations get the best value out of their content, regardless of where it is stored.